Food is less good than before. Great location, great service ant the perfect place for a romantic dinner. Food was nice. Tasty and at a reasonable price. Service a bit slow, under staffed, but the staff were doing their very best, working hard and with a smile. Very coasy and relaxed atmosphere. In a quiet street just a few steps away from the worst tourist streets. Weather permitting, try to get a table outside. The view of NotreDame is amazing. A wonderful spot -- lively decorations and friendly service make for a wonderful ambiance. The menu changes daily; everything my wife and I tried was wonderful. It manages to be homey and non-touristic notwithstanding its location and foreigner-friendly staff. Cadre très sympa à 2 pas de Notre Dame nous avons bien mangé! Accueil sympathique. Personnel accueillant. Les plats sont bons mais sans raffinement particulier. L'œuf cocotte / lentilles est une bonne idée. A colourful restaurant, very accessible for the Seine and Notre Dame, close to the RER station. This was ideal for a pre-rugby meal en route to Stade de France. We had a pleasant welcome and were seated altogether. Lovely food and wine. Shame about the rugby! Excellent food and service. Very original decor. Highly recommended. Great restaurant, real French cuisine and wines are great. Staff is really friendly and correct and knows about the pairing of wines and food. Excellent dishes in a lovely place! Very good food with terrific service on all aspects of ordering and serving the meal. Highly recommended. Wonderful! Varied menu with many choices, all expertly prepared and presented. Very reasonably priced, especially considering the quality of the food and service. We will be back! The waiter was very friendly, he tried his best to translate the French menu to English for us. The steak for 2 is fantastic. Juicy, tender, perfectly cooked. You can taste some crunch on the outside yet the inside is soft and juicy! Too bad they did not serve Foei Gras or Escargots when I visited, really wanted to try these popular feench dishes! This a delightful restaurant. Simple food well prepared. Liberal wine policy and terrific service. Plenty to choose from the menu and pricing is well suited to the cuisine. Perfect if your going to a concert at the church across the street. A quirky ambiance as the room filled with curios and assorted artifacts, Makes the experience memorable and unique. If we lived in Paris this would be on our regular go-to list. Enjoy! The bistro is on a quiet side street adjacent to a small park with outside seating in good weather. We had inclement weather when we ate there and ate inside which has an eclectic but charming decoration scheme. We were greeted and seated by Francis, who is a Levesque. He spoke excellent English, was friendly and guided us through our drink and menus options. Everything that we had was excellent and we will return to this bistro the next time that we are in Paris. 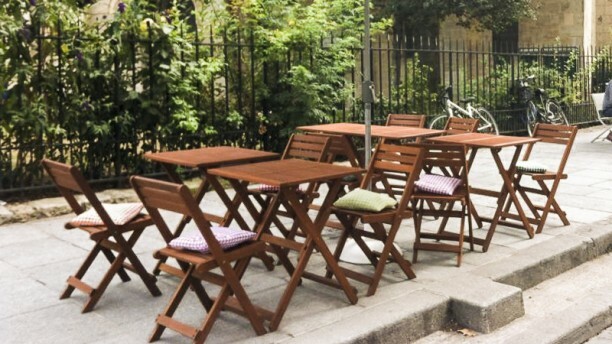 We would particularly recommend going to this casual bistro on a day with good weather so that we could sit by the park. The crowd was about half French and half tourists. Really sweet and delicious !!! Charming setting, excellent service. A good option when you want to have a mid-afternoon lunch near the Seine. A gem discovered! The food is amazing and service is awesome.